Airbus saw its profits plunge by 30 percent in the first quarter of 2018 due to delays in delivery of its A320neo engines but still plans to supply 800 aircraft this year, the company said Friday. Its net income dropped to 283 million euros ($342 million) from 409 million euros for the same period last year. "The first-quarter performance reflects the shortage of A320neo engines," Airbus chief executive Tom Enders said in a statement. "It's a challenging situation for all but based on the confidence expressed by the engine makers and their ability to deliver on commitments, we can confirm our full-year outlook," he added. "This still leaves us with plenty to do this year to reach the target of around 800 commercial aircraft deliveries." The European plane maker posted adjusted net earnings of 14 million euros—a better result than the marginal loss forecast by analysts, Bloomberg News reported. 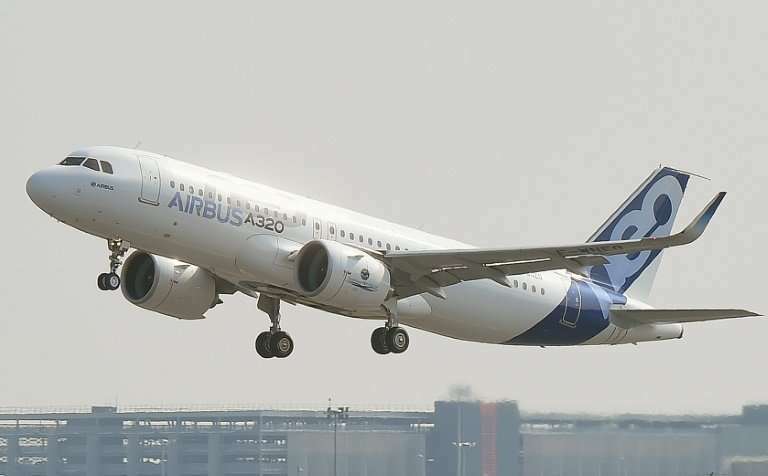 Earlier this month, Airbus announced it would boost production of its A320 aircraft, despite problems in its supply chain. The A320neo is a more fuel-efficient version of the Airbus company's best-selling airliner, the A320. The planes are equipped with a new generation of engines and have aerodynamic modifications that allow airlines to save 15 percent on fuel, which is a major operating cost. The medium-range, single-aisle Airbus aircraft and similarly upgraded Boeing planes have attracted thousands of orders as airlines seek to ensure they remain competitive in the future. Some 181 A320neo aircraft were delivered in 2017, up from 68 during 2016. But the new engines have suffered from technical glitches and delays and Enders earlier admitted that "the A320neo ramp-up remains challenging". In March it announced plans to cut around 3,700 jobs on the A380 and A400M programmes. Also last month, Airbus said it would name a successor to Enders at the end of 2018, as part of a major shake-up of top management.